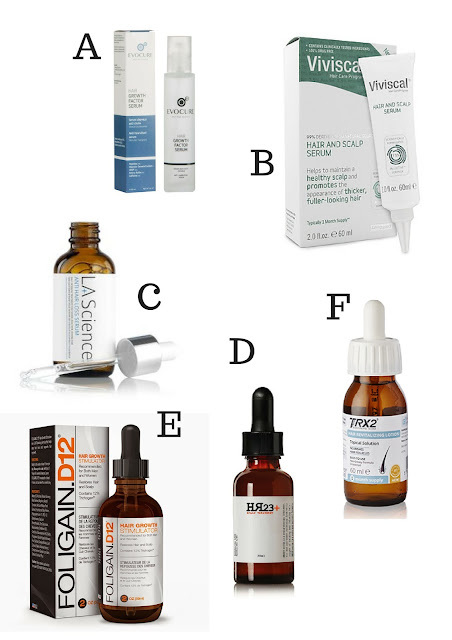 What are the best serums for treating hair loss? There are literally hundreds of topical serum based products that are designed for treating balding and thinning hair. The majority of these serums are unisex products, therefore making your choice even more of a dilemma. In no particular order, here are six safe and potentially effective hair serum recommendations for you to try (if you haven't already done so). With age, due to genetic factors, the capillaries supplying the bulb tend to shrink and to become thinner, causing poor nutrition of the hair as well as increased sensitivity to Dihydrotestosterone (DHT). Based on these observations, the new Hair Growth Factor Serum was invented to act simultaneously on the degradation of capillaries and other factors mainly responsible for the degradation of the quality of the hair. Nourishing with powerful, natural ingredients, this drugfree serum maintains a healthy scalpencouraging the look of fuller, thicker hair suitable for all hair types, the rich, restorative treatment helps prevent damage and breakage from heat styling and over styling, while supporting hair's antiaging defenses. LA Science Anti Hair Loss Serum is an intensive treatment to help extend the growth phase of hair for a thinker looking head of hair. With its active ingredients to promote stronger healthier-looking hair and scalp, Anti Hair Loss Serum is effective at making hair feel and look thicker. Compatibility is improved and physical stress on the hair shaft is improved. HR23+ Scalp Therapy Treatment Serum combines nourishing actives for the hair with Keratinocyte Growth Factor (KGF). With powerful active ingredients known to help promote hair growth in both men and women, actives were added to help with poor scalp micro-circulation, follicle atrophy caused by dihydrotestosterone, and follicle ageing - led by Chrysin and Grape Seed Proanthocyanidins. FOLIGAIN® DHT Blocker 12% Trichogen® formula helps stop hair thinning and loss by utilising its unique ingredient Trichogen®, which has been shown to promote healthy hair regrowth and effectively stop DHT (Dihydrotestosterone—the hormone that causes hair loss). The formulation of TRX2®, one of the Europe’s bestselling molecular food supplements for hair, is now available for topical application, allowing its active ingredients to be delivered to areas of thinning hair directly.